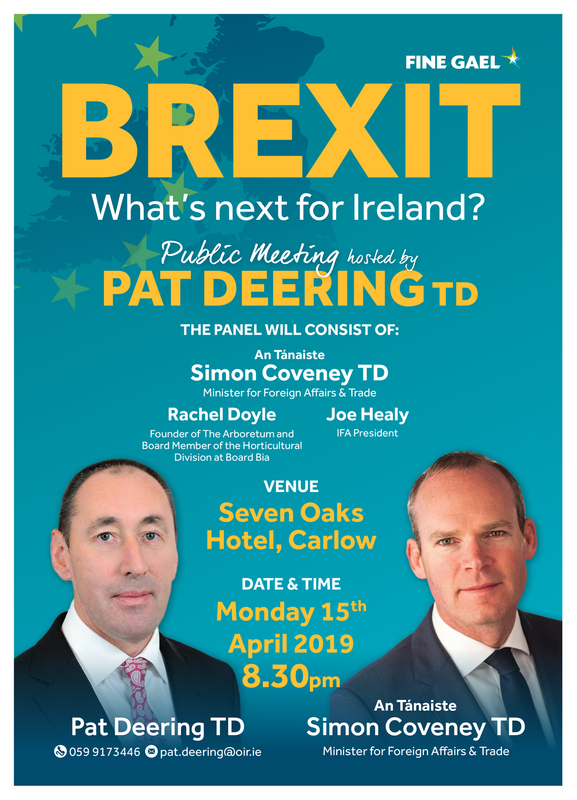 An Tánaiste Simon Coveney will address a public meeting I am hosting in Carlow to discuss “Brexit, what’s next for Ireland”, Fine Gael TD, Pat Deering has said. 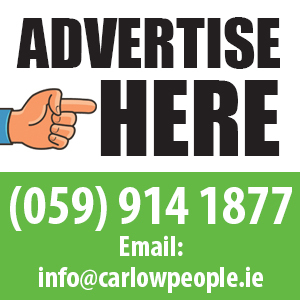 Deputy Pat Deering said “the meeting will be held on Monday 15th April 2019 at 8.30pm in the Seven Oaks Hotel, Carlow and will be an important opportunity to discuss the issues we face surrounding Brexit. On the panel to discuss Brexit will be Rachel Doyle, Carlow native and founder of The Arboretum and board member of the horticultural division at Board Bia, Joe Healy IFA President and my party colleague Minister Simon Coveney, Tánaiste & Minister for Foreign Affairs. Deering stated “Brexit is approaching every day. This is not a time for political instability and disorder in Ireland as has been demonstrated in London over the last week. Deering added “Our Government programme focuses on Brexit, job creation, investment in infrastructure including health and housing, and meeting the needs of hard-working Irish families. We are determined to ensure the social and economic progress made since 2016 can continue.